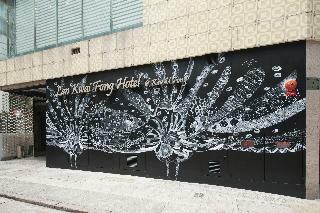 The hotel is situated within walking distance of Hong Kong's business and financial centre, and shopping centres. The Peak tram station and the trendy nightspot Lan Kwai Fong are all on the hotel's doorstep, which is easily accessible using all public transportation. The air-conditioned city hotel offers 142 guest rooms in total, as well as a restaurant and tour services. The spacious hotel rooms and suites overlook the city with panoramic garden views, offering optimal comfort with full service yet reasonably priced accommodations. The rooms also come equipped with an en suite bathroom, direct dial telephone and satellite TV. Additionally internet access, a minibar and tea and coffee making facilities feature as standard. The hotel's restaurant provides a cosy setting for enjoying Chinese specialities. Breakfast is served each morning at the hotel. This comfortable hotel situated in the lively city of Hong Kong offers its guests a retreat where to relax and unwind away from the hustle and bustle of the city. It is situated on the quiet Robinson Road in Mid-Levels, providing magnificent views over the surrounding urban landscape and offering easy access to commercial locations and cultural attractions, such as the SoHo area and Lan Kwai Fong. The gracefully decorated guest rooms and suites feature modern amenities such as LCD televisions and free Wi-Fi. Guests can enjoy delicious meals and beverages at the terrace room restaurant while admiring the beautiful views over Victoria Harbour, and business travellers can take advantage of the conference room and business centre. There’s an outdoor pool ideal for a relaxing swim after a busy day exploring this vibrant city. Ovolo's uber chic hotel on 2 Arbuthnot Road offers a slick lifestyle in a location that cannot be beaten right in the heart of the entertainment district between Wyndham Street and SOHO. Minutes walk to Central MTR, the Lan Kwai Fong Entertainment district or even the IFC Shopping Mall, Ovolo Central is well placed for business and leisure. This hotel is conveniently situated within Hong Kong's business and financial district, only 5 minutes' drive from the International Financial Centre. Shopping lovers can enjoy the hotel's proximity to the shopping malls situated only a stone throw away. Many of the area's important transportation hubs are also located nearby, including the Airport Express Hong Kong Station which provides access to Hong Kong International Airport. The property redefines the concept of the economic hotel with its down-to-earth accommodation that is excellent value for money. Each room is tastefully decorated with attention to detail, and the hotel's reliable and enthusiastic staff is friendly and highly motivated to ensure a carefree and unforgettable stay. From the moment you step through the neoclassical mural façade of Chaplin, Monroe, Hepburn, and Sinatra, a new experience arises. Enter Madera Hollywood and be enchanted by the pizazz of this new boutique hotel, located in the heart of Hong Kong's SoHo district. Here you can experience the opulence of Hollywood's golden age in our 38 one-bedroom suites, elegantly composed in the Hollywood Regency style favored by the stars and complemented by the finest modern amenities. You can indulge in the personalized service of our staff, who are always ready to offer any assistance you may need to make your stay comfortable and distinguished. You can explore our distinctive neighborhood, where cultural chic and colonial charm come alive. 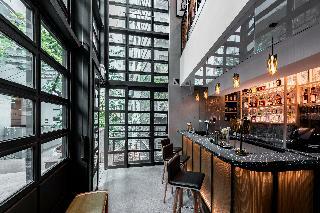 Madera Hollywood is your ideal launch pad for your Hong Kong escapades. Traveling in style, comfort, and indulgence has never been so exciting. This hotel, winner of Asia's Best City Boutique Hotel Award 2014, is conveniently situated on the city's first historic cobbled street in Central, within walking distance of Central MTR Station, Airport Express and Lan Kwai Fong. The central business district location offers direct access to commerce, shopping and dining options. The hotel offers 68 exquisite guest rooms, including ‘Pottinger Suite' and 6 cosy suites named after the streets in the neighbourhood. Guests may enjoy East-meets-West hospitality in a vibrant neighbourhood that embraces the sheer charm of old Hong Kong with a modern luxury twist. 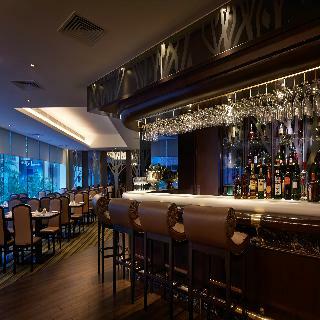 Completing the experience is to pamper travellers with visually-stunning cocktails, French-Japanese specialties, artisanal gelato and chocolates, or classic Italian cuisine at the on-site bar and restaurant. Ideally situated in the very heart of Hong Kong city, this luxurious property offers the perfect starting point for those visitors wishing to enjoy all this modern metropolis has to offer. It is a short distance from Lan Kwai Fong and SoHo areas, the best spots for trendy dining, nightlife and entertainment. MTR, Airport Express Hong Kong Station, Hong Kong Macau Ferry Terminals and Star Ferry are also in the surrounding area and provide a very convenient transportation network. This boutique-style hotel provides guests with a choice of uniquely designed guest rooms which blend perfectly a modern style with Chinese accents. The lounge zone with outdoor terrace is sure to win visitors over with beautiful views and complimentary snacks, whilst those wishing to keep fit will appreciate the gym. 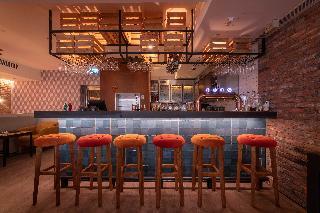 The property also includes an award-winning restaurant serving Cantonese homemade secret recipes. This stylish and luxurious hotel enjoys a fantastic Hong Kong location between Hong Kong's Sheung Wan and Central districts and just a short walk from the International Finance Centre and Hong Kong Macau Ferry Terminal. 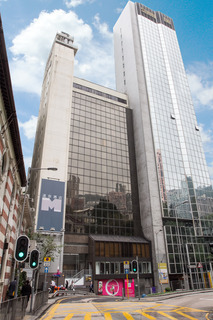 Guests might wish to visit the Hong Kong Museum of Art or Heritage Museum, and catch a performance of the Hong Kong Philharmonic Orchestra, all easily accessible from the hotel via public transport.The modern rooms boast the latest technology with Apple television, iPad, and Wii or Xbox gaming systems upon request, in addition to an array of complimentary goodies including free Wi-Fi internet access with refreshments in the 24-hour Lo Lounge. The legendary city hotel Mandarin Oriental Hong Kong boasts an ideal setting a 10 minute walk from Central MTR Station in this eclectic city. Exceptional shopping at The Landmark are just a 15 minute walk from the hotel and Lan Kwai Fong, The Peak and Ocean Park are all within easy access of the hotel making it the ideal choice for discerning business and leisure travellers alike.The spectacularly design of this landmark hotel will leave guests breathless from the moment they walk through the doors. Greeted by an opulent, exceptionally designed lobby, guests will feel like royalty amidst the decadent surroundings. Set overlooking Victoria Harbour, the hotel affords stunning views stretching over the harbour to the captivating city skyline. The splendid guest rooms exude glamour and style with rich earthy tones with a harmonious blend of oriental and contemporary designs. 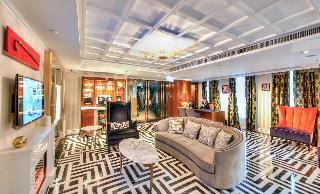 This luxurious city hotel enjoys a strategic setting between the vibrant Central and Sheung Wan area. 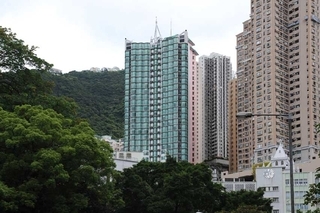 Guests will find themselves in a transport hub, with a metro station, Airport Express Hong Kong Station and the Macau Ferry Terminal all within easy walking distance away. Guests will find themselves in close proximity to an array of shopping venues, dining options, offices and the entertainment districts of SoHo and Kwai Fong.This stunning hotel enjoys a sleek, sophisticated design that allures guests with promises of regal beauty. The hotel's guest rooms feature luxurious, captivating surroundings, with neutral tones, large windows flooding the rooms with natural light, and unprecedented contemporary design. Guests are invited into the lavish surrounds of the restaurant, headed by world-renowned chef Jean-Georges Vongerichten where they will savour unequalled, delectable delights.